PFLUGERVILLE, TX (KTRK) -- Parents and teachers at an elementary school in Pflugerville are still in shock after a couple paid off lunch balances for their students. A couple walked into the front office with their checkbook in hand, and asked to speak to the school principal of 960 students. Children from the poorest families get free or reduced-price breakfast and lunch. But some struggle to pay even reduced prices, and some families who would qualify for free or reduced prices fail to fill out the necessary paperwork. Some of the IOUs come from kids who simply forget their lunch money or parents who can afford to pay but neglect to keep prepaid accounts up to date. The elementary principal, Ben O'Connor, had never seen the gracious couple before. "They said, 'we don't have any kids that go to Rowe Lane, but we had a niece who went through. You guys are our neighborhood school, so we thought, we want to drop by and do something,"' said O'Connor. The donors asked for privacy even when it came to the total amount they paid off, but O'Connor says it was hundreds of dollars. 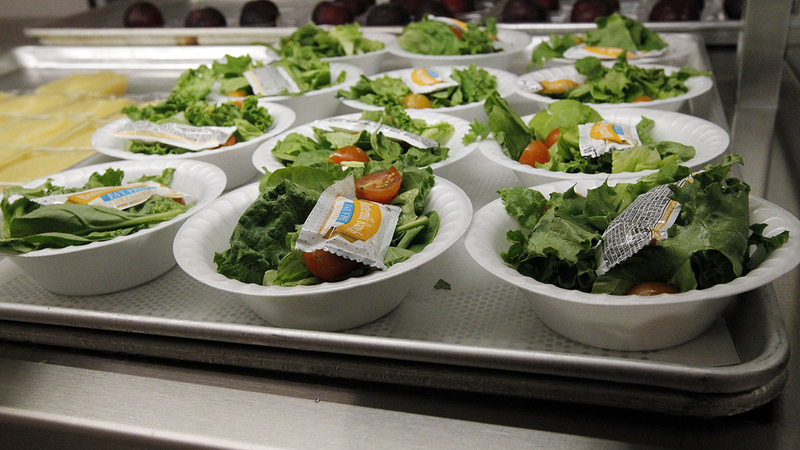 Most school districts allow children to run a tab for a certain number of meals if they come up short. Others give them an alternate meal of a cheese or peanut butter sandwich and fruit. If parents ignore school notices about their child's overdrawn lunch account, the debt may be sent to a collection agency. Ultimately, taxpayers may have to cover it.